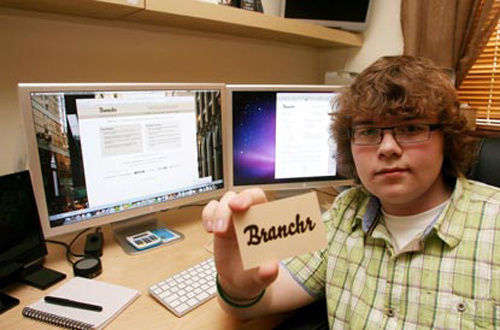 Christian Owens, a 16 year-old British boy made $2 million in two years and is on track to make another million this year, according to a recent report at Gizmodo.com. At age 14, Owens negotiated some discounts with software developers and then created a Mac website that offered $400 worth of software programs for $50. 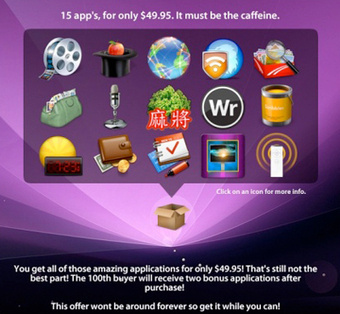 Users unlocked an additional program if enough people bought the package, virtually guaranteeing good word of mouth. He donated part of the proceeds to charity. Christian says he hopes tomake $100 million with his new venture, Branchr, a pay-per-click advertising company that distributes 300 million ads per month on over 17,500 websites, iPhone, and Android applications. He has eight adult employees, including his mom and has already made $800,000 in his first year. We thought perhaps that Christian gets help from his dad, but it turns out he’s an ordinary factory worker. You can read more about the family here.